The U.S. Justice Department made an unusual argument to a federal court last night, claiming that Obamacare’s protections for people with pre-existing medical conditions are unconstitutional. Roughly 1 in 4 Americans have pre-existing conditions that would make it difficult to buy insurance without those protections. If the DOJ is successful, millions of American could be denied the ability to buy health insurance. Under the Affordable Care Act, commonly called Obamacare, insurance companies can’t deny coverage to people with pre-existing medical conditions, and it puts limits on how much those companies can charge. But the Trump regime wants to change all that, arguing in federal court along with 20 states that protections for pre-existing conditions should be abolished. 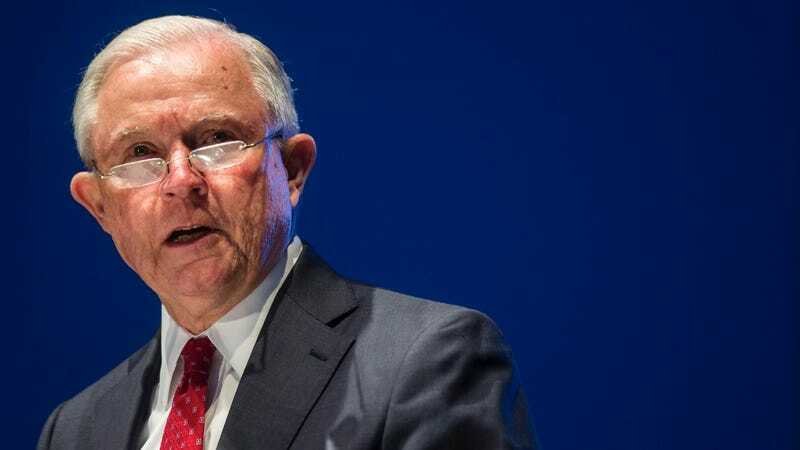 It’s considered very strange for the U.S. Department of Justice to argue against existing law, but that’s precisely what President Trump’s DOJ is doing by joining 20 conservative-led states. Obamacare has been unpopular among some conservatives, but the protections for people with pre-existing conditions have been incredibly well received. According to a Kaiser poll last year, 70 percent of Americans overall believe that insurance companies shouldn’t be able to charge consumers more if they have pre-existing conditions. When the numbers are broken down by party, a strong majority, 59 percent of Republicans, still believe that people with pre-existing conditions should be protected. Attorney General Jeff Sessions sent a letter to Republican congressman Paul Ryan and Democratic congresswoman Nancy Pelosi yesterday saying that he was acting with the explicit approval of President Trump, despite Trump’s previous promises that he would make sure all Americans get better, cheaper health care. The president has done nothing to actually achieve that, of course, and Trump supporters often give credit to Trump when they benefit from provisions of the Affordable Care Act. The new Republican-led tax cut, an enormous transfer of wealth from the poorest Americans to the wealthiest Americans, got rid of the individual mandate which required all Americans to buy health insurance. Sessions claims that the tax law’s elimination of the individual mandate should invalidate the requirement that health insurance companies not discriminate based on pre-existing conditions. Texas first filed its lawsuit to completely dismantle the ACA on February 28, 2018 in the U.S. District Court for the Northern District of Texas and saw 19 other states join. But 17 Democratic-controlled states, led by California, intervened in April to fight back against the attacks on Obamacare. Where will things shake out? The judge overseeing the case in Texas was appointed by Republicans, and as the New York Times notes, three DOJ lawyers who were working on the case abruptly quit yesterday, presumably because they weren’t happy with the decision to dismantle Obamacare and protections for consumers. If Texas and the DOJ win, the most popular elements of the ACA will disappear. And it will sure be interesting to see who Trump supporters blame if the DOJ succeeds in stripping health care away from millions of people. Somehow, you know it won’t be Trump. Update, 1:08pm: Here’s the brief in full. As you can see, it’s a horrifying attack on health care in the United States, the only wealthy country in the world that doesn’t guarantee health care as a right to all of its citizens.